Nice tug from the early part of this century. Preserved at Toronto, this early tug is in excellent shape. This tug and her sisters are owned by Choest Marine, and can be found In San Diego Harbor where they handle Navy warships under contract. 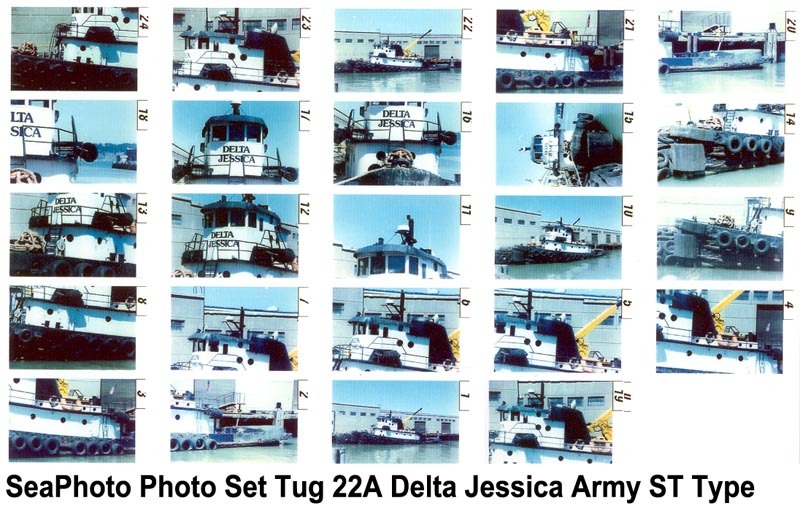 Delta Jessica Former Army ST tug, built during World War II and modified for civilian use later. A great resource for building the classic Revell Tug Kit. Note: These are two of our new digital sets, that can be blown up to at least 8 X 10 and often larger if you would like bigger prints. Please contact us for details. Marin Sunshine - Photographed October 2010 from adjacent warship. Note: This is one of our new digital sets, that can be blown up to at least 8 X 10 and often larger if you would like bigger prints. Please contact us for details. A favorite of mine, due to their long association with the great liners. Tugs of the Moran Company have been a fixture on the East Coast for many years. You may recognize this location if you are a fan of the TV series "Homicide", a Baltimore police station shares the pier. Misc. 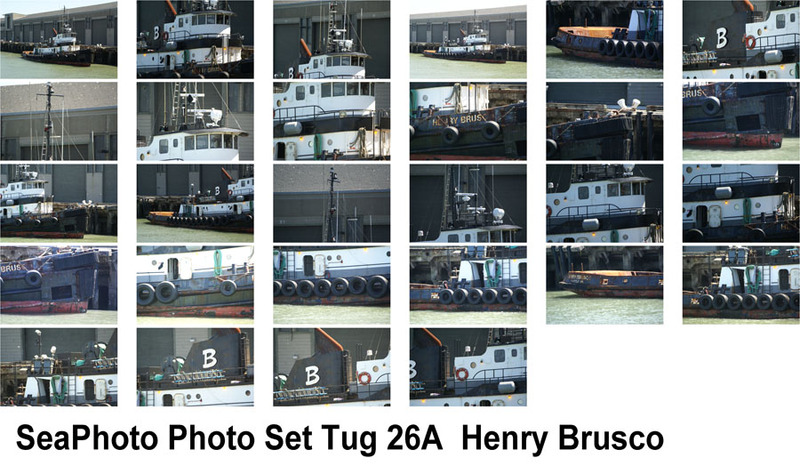 Tugs Includes Town Point, Harriet Moran, others.